- Tickets for up to 60 passengers on any Family Adventure Cruise. - 30 minutes of boarding activities & 60 minutes of sailing aboard the Fearless. 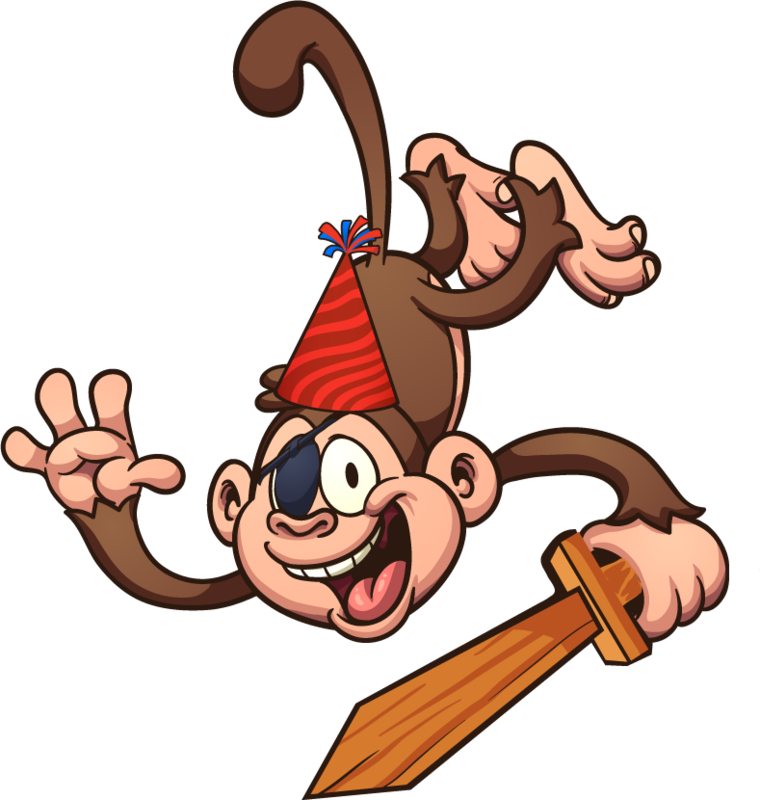 - A pirate birthday song and a special sword for the birthday pirate. 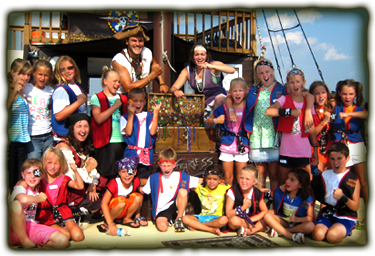 - Each child will receive their share of pirate treasure & a pirate eye-patch. - Tickets for up to 30 passengers on any Family Adventure Cruise. - Tickets for up to 20 passengers on any Family Adventure Cruise. 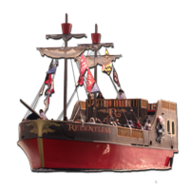 Enjoy an extra 30 minutes aboard the pirate ship for food and cake, exclusively for you and your guests. The tables, plates, cups, napkins, forks, and serving utensils. 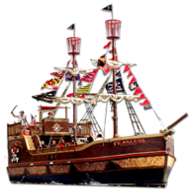 Our pirates will lead your guests in a rousing pirate birthday song, cut and serve the cake and food so you are able to sit back, relax, and focus on your pirates’ special day. Additional pirate games to keep the fun going! Available following any Family Adventure Cruise. Must be added to birthday package or individual ticket purchases.